Today’s prize is this stylish and highly breathable Superlight Tour Polo Shirt from our friends at PlayBrave. Made with premium high performnce stretch and moisture wicking jersey fabrics, the collection is sleek and elegant design for an understated look. 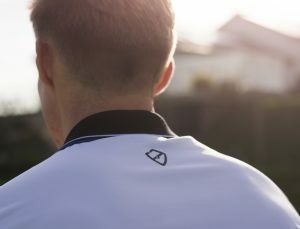 The PlayBrave Tour Polo Shirt has a classic design with retro twin tipped collar and cuffs and side splits with contrast stitching. The champion’s journey is adversity. It is pain. It is self-doubt. And yet, you’re here. You’re on this journey. And you’re not looking back. The butterflies. Legs like jelly. Heart thumping in your chest. Is it the rush of knowing what’s at stake? Or is it the thrill of putting yourself through your paces? The world needs to see what you’re made of. You want to measure yourself. You want to win. It’s a primal urge. Great sportspeople feel it. The greatest sportspeople thrive on it. You need to feel comfortable – like you’re playing naked, almost – so that you can go out, and be the best version of yourself. Unrestricted. Let your hard work and discipline do the talking. Your kit must do everything it can to allow you to perform the way you want to. That brings us back to now. We promise that no matter where you are on your journey, PlayBrave will allow you to perform atyour personal best. If you’re feeling the pain of fear, if you’re challenged by the wall of demotivation, or combating the stress of defeat, we’ll give you everything you need to conquer yourself and excel. We’re in this for you. Singular. The individual sportsmen and sportswomen who are pushing themselves every day. We treat every personal best as a breakthrough. We treat every moment as a brave one that’s hungry to get out. Success looks different to everyone. We’re here to help you define what success looks like to you, and to provide everything you need to achieve it. On this journey, you are your toughest opponent. And we’re here to help you play brave. 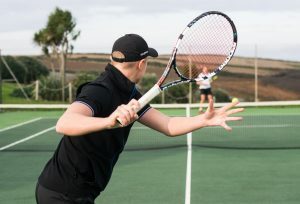 To view the full PlayBrave collection of Tennis and Leisurewear visit www.playbravesports.com now. To win simply enter your details below. Today’s competition is now closed. Please check our Win pages for further #WimbleWin prizes.